Ground-Guards keep a very wet power-station project moving forward! One of the country’s largest geo-investigation companies recently proved the value of using Ground-Guards track-way, when the site they were working on received 2 months rainfall in 2 weeks! The 1000 acre new power-station site in North Wales quickly turned into a boggy quagmire, but with the 1300 Ground-Guard ground protection mats on site, the contractor was able to complete the 70 test holes required. 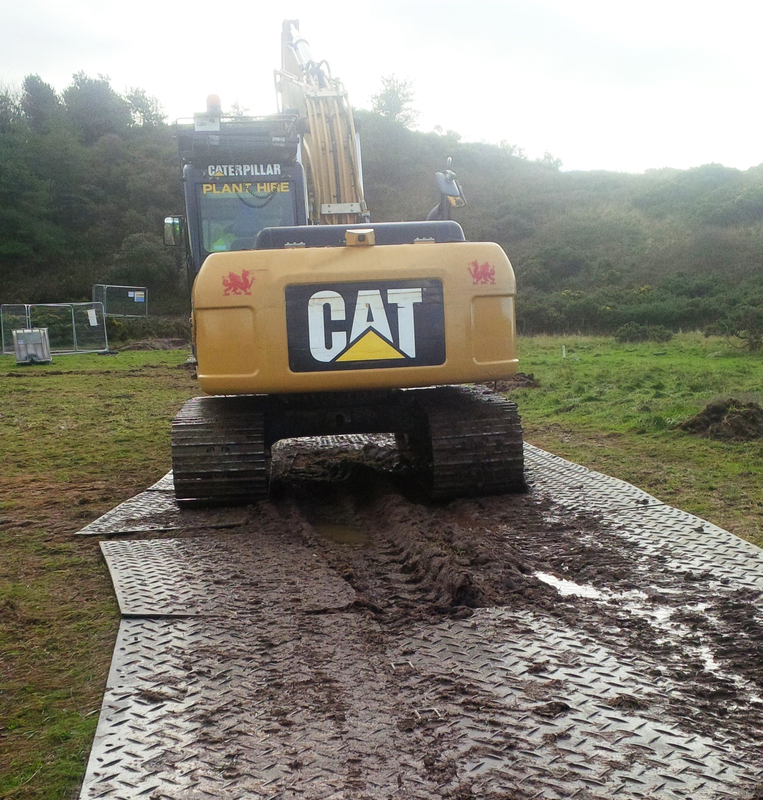 To find out how Ground-Guards ground protection solutions can benefit your project, speak to our sales team today!